Not all kids’ clubs are created the same. 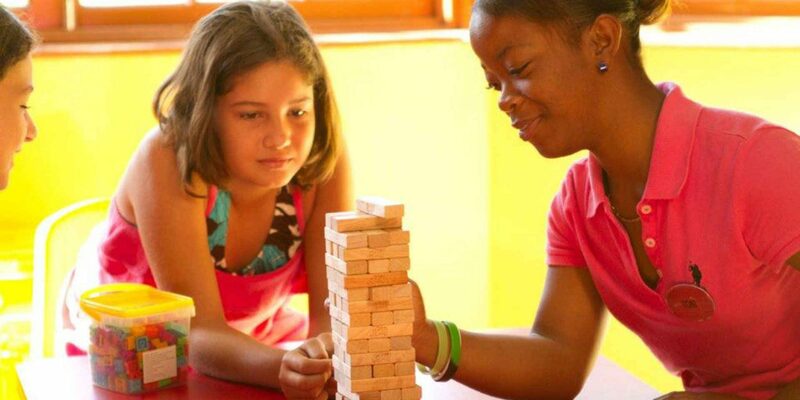 These kids’ clubs and programs at all-inclusive resorts go above and beyond the traditional games and arts and crafts to offer everything from first haircuts for babies to trapeze school for teens. Club Med is every child's (and parent's) dream, with many of the resorts offering programming for kids as young as 4 months! 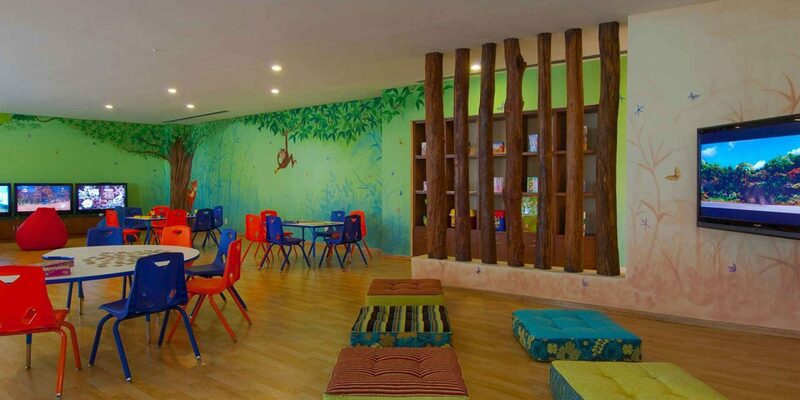 Baby Club Med is staffed with certified nannies for infants ages 4 to 23 months; Petite Club Med is designed for children ages 2 to 3; and Mini Club Med caters to kids between age 4 and 10 (separated into three more groups: 4 to 5, 6 to 7 and 8 to 10). Club Med's signature G.O. 's (Gentle Organizers) lead nature walks, horseback riding, cooking classes and more hands-on play. 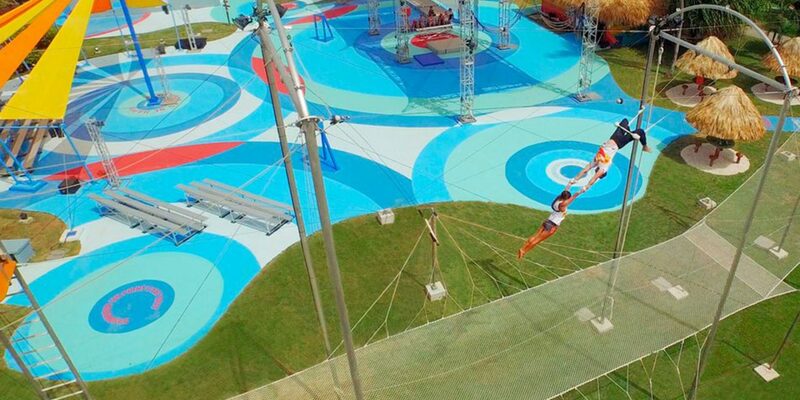 Teenagers are not forgotten; in fact, they have it best, with Club Med's signature Trapeze School! (Mini Club Med participants also visit the Trapeze School). Here, daredevils can learn how to glide through the air like a professional trapeze artist. 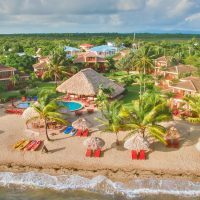 The Club Med Punta Cana takes it up several notches with CREACTIVE by Cirque du Soleil, a full-fledge Circus School where guests can learn how to do everything from acrobatics to mask painting. Club Med Resorts are located across the globe, with some of the best ones located in the Caribbean and Mexico. 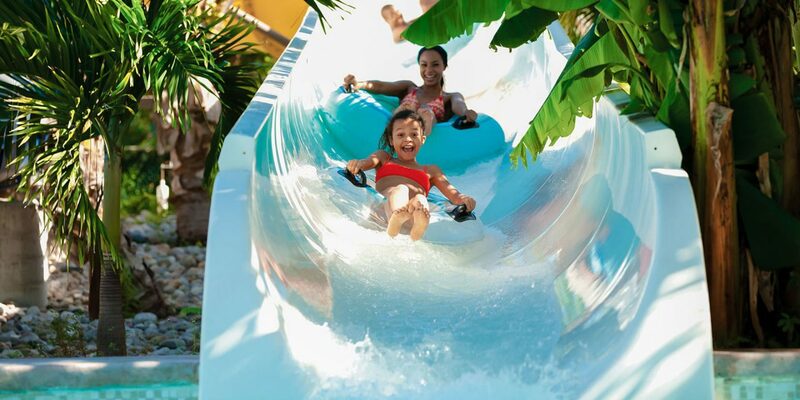 There's a reason so many families flock to Beaches Resorts for their all-inclusive vacations. 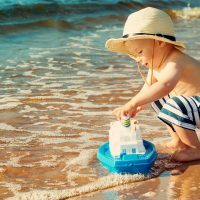 Beaches offers fantastic programs for infants, toddlers, pre-teens, teens and children with special needs. 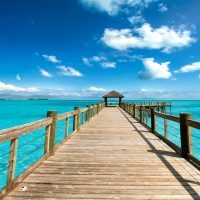 Standout activities include magic shows and treasure hunts for little kids, and pizza making and boat cruises for big kids. Beaches Resorts also offer Scratch DJ Academy, where kids can learn how to be a DJ and even create their own CD to take home, as well as Pirates Island Waterpark, with lazy rivers, waterslides, spray grounds -- you name it. Beaches has three resorts in the Caribbean: Beaches Turks & Caicos, Beaches Ocho Rios and Beaches Negril. Babies have it made at Grand Velas Resorts, with a dedicated Baby Concierge providing infant amenities, nanny services and even first haircuts! At the Grand Velas Kids Club, children age 5 to 12 can learn how to make pinatas, kites and jewelry, while teens ages 13 to 16 can dance in a (supervised) club of their own or sing karaoke via the Teen's Club. Grand Velas has three stunning resorts in Mexico: Grand Velas Riviera Nayarit, Grand Velas Riviera Maya, and Grand Velas Los Cabos. 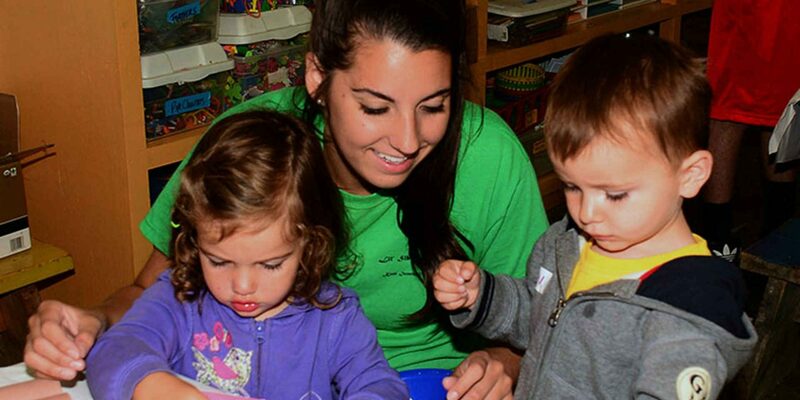 Located along Lake Champlain in Vermont, Tyler Place Family Resort offers one of the best kids' programs we've encountered -- and that's because there are so many! The all-inclusive resort offers programming for the following age groups: infants to 12 months; 12 to 18 months; 18 to 30 months; 2.5-3 years; 4-5 years; first and second graders; third and fourth graders; fifth and sixth graders; seventh and eighth graders and ninth and tenth graders. Kids are able to better bond over water sports, bike rides, campfires, outdoor movies and more. Bonus: Kids-only dinners allow parents to enjoy some time alone. 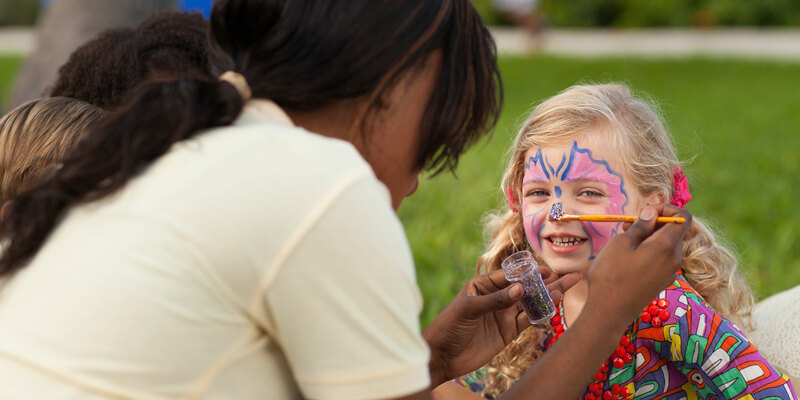 The kids' club at Jewel Runaway Bay Beach & Golf Resort in Jamaica is perfect for little ones, with a dress-up closet, life-size dollhouse, face painting and more. Tweens and teenagers are treated to laser tag, video games and an audio booth where they can record their own music! Children are separated by the following age groups: 18 months to two years; 3 to 5; 6 to 9; and 10 to 12. When they're not at the kids' clubs, most children can be found at the resort's water park.